After an auspicious cameo in last year’s Captain America: Civil War, Spider-Man now has his own standalone feature in the MCU and and I’m happy to report that it more than lives up to the promise of his previous appearance. Spider-Man: Homecoming is the third on-screen iteration of the illustrious web-slinger, as directors Sam Raimi and Marc Webb previously had separate swings at the characters, but in many ways, this seems to be the first version that truly understands what makes the character unique and indispensible in the superhero realm. If Raimi’s trilogy exhibited an earnest campiness ripped straight from the comic book pages and Webb’s pair of films was brooding retort to the Dark Knight series, then this film casts a lively signature of its own that’s defined by soulful storytelling and perfectly pitched humor. Tom Holland reprises his role as the young Peter Parker, who is desperate to become a full-time Avenger after the thrilling battle of Civil War but is told to lay low and not get into anything too perilous by his burgeoning father figure Tony Stark (Robert Downey Jr.) Eager to help his community, he ignores the advice and crosses paths with arms dealer Adrian Toomes (Michael Keaton), who harvests the alien technology brought to Earth during The Avengers to create advanced weapons for criminals all around the city. Parker also must balance this new conflict with the everyday dilemmas of teenage life, including a best friend (Jacob Batalon) who accidentally learns of his secret identity and a new love interest (Laura Harrier) who challenges him on the academic decathlon team. 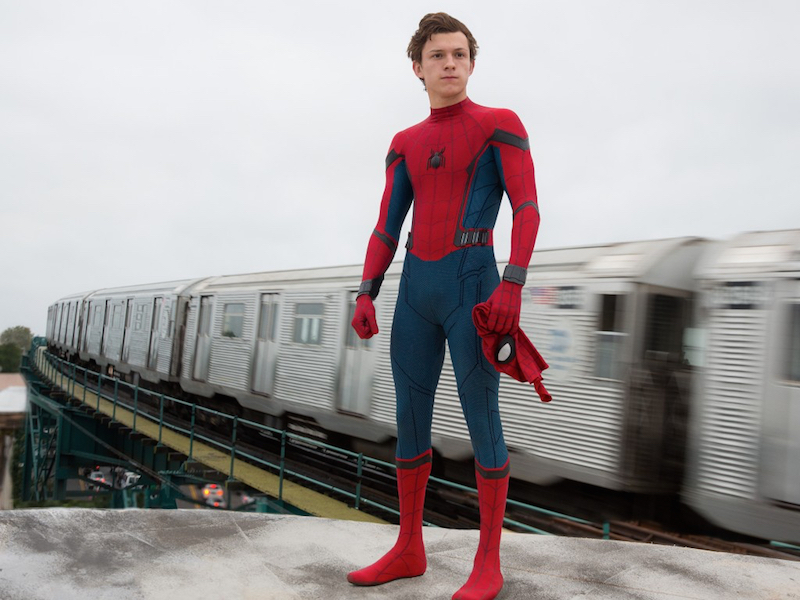 The film’s subtitle is a nod to the fact that Spider-Man has “come home” to Marvel Studios after 15 years of Sony hoarding the character rights but it’s actually more telling that it refers to the big homecoming dance at Parker’s high school, as the movie tends to play out more like a coming-of-age teen comedy than traditional superhero epic. As opposed to the high school scenes of previous Spider-Man movies that mainly consisted of “kids” in their late twenties sitting around in room made to look like a lunchtime cafeteria, Midtown High School actually feels like a believable setting complete with awkward gym classes and dreadful detention sessions (there’s even brief chess club shoutout, for good measure). Homecoming understands that the stakes of the story are established by Parker’s interpersonal conflicts and are not just defined by the big showdown with Spider-Man’s villain of the week. This emotionally grounded mentality extends not just to Parker but also to Toomes as well, whose evil plan isn’t to blow up the planet or take over the galaxy but rather to just stay under the radar peddling guns on the black market so that he can support his family. Keaton’s portrayal of the Vulture (the Birdman jokes write themselves) is one that’s steeped in desperation and circumstance rather than sinister clichés that have infected many a Marvel villain in the past, which makes the character one of the more compelling examples in the category. When Spider-Man and Vulture do arrive at their final confrontation, the shared history between the two comes to the forefront and creates a poignancy that makes their airborne showdown that much more thrilling. It may sound like serious business but believe me when I say that there are plenty of laughs along the way with loads of quick visual gags, ping-pong dialogue and some brilliantly conceived bits that reference other segments of this Universe (there’s a running joke featuring another MCUer that’s delightfully unexpected). Like The Lego Batman Movie, this is a film written by people who know how to get plenty of comedic mileage from riffing on aspects of their respective characters’ legacies but they do so respectfully, taking care to avoid mean-spirited jabs in the process. People are rightly skeptical of reboots, especially with franchises that have had as much recent activity as this one, but Spider-Man: Homecoming proves that a fresh vision on an existing property can sometimes have truly amazing results.